“This film is really valuable for me like for thousands other people. Because of its story lines, kobza-player’s songs, picturesque Ukrainian nature and incredible mix of emotions like “laughing through crying”. “The Guide” for me is a promise for the great future of cinema in my Motherland, because this film is valuable for Ukrainians only, but not for the whole world now. Let me begin from bad side of “The Guide”. It’s Jamala’s unnatural play. She don’t live in the film. She is trying to play. And this is the thing, which give opportunity for growing to Oles Sanin and Ukrainian cinema. Then, someone said Grin’s play wasn’t so good, but it can’t be usual or whole-understandable for us, because he is a person from different country and culture both in real life and film. That’s all about bad sides. Maybe, its worth to say smth about dialogs, but that which were played by brilliant actors are good and . I am completely sure co-scenes of Stanislav Boklan and Irina Sanina were the best, because of its authenticity and premiere on the “big screen”. I should say a big “Thank you!” to Sergii Mihalchuk, who took a picture, and whole film team (I don’t really know who should get the biggest appreciation, except of director and actors, of course). Another advantage its shooting in Ukrainian picturesque nature, which takes a heart with it for a long months (I have watched “The Guide” in November, but I still remember that moments of delight by simply watching native landscapes). Year, so many words without mentioning dramatic storyline in this film, which should play, actually, the main role. But for me it isn’t smth new, unknown. I can’t even imagine how it was. And I’m really stressful-less person, so it hasn’t touched me. Only mentioned that it really-really-really and I have a huge reason to live for. Mistake isn’t excused. But “The Guide” is still the best and you still should watch it to understand and to move our history on.” (Maryana Pigur). “After creation of Soviet Union the cultures of all nations except Russians were oppressed here. Many cultural figures of Ukraine (writers, poets, scientists, theater and movie directors, actors, painters, musicians, folk artists, etc) undesirable for Soviet regime were executed or exiled to Siberia on the hard physical works, especially during the 1930s (it is known as Executed Renaissance). Among such figures were bandurists, the folk musicians who played on the bandura (Ukrainian folk string instrument) and sign mainly the patriotic sad ballads about cossacks, the Ukrainian steppe warriors of the 15-19 centuries. 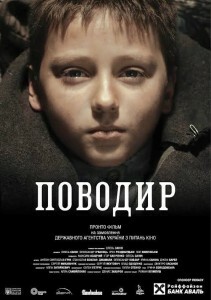 Main plot of this movie is a story of a blind wondering bandurist Ivan Kocherga in 1932-1933. 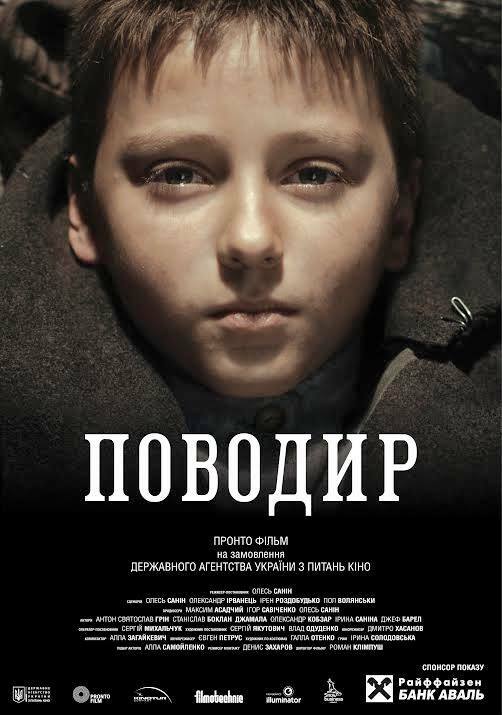 Accidentally he gives some help to American boy Peter, whose father was killed by Soviet special services because of some secret documents, and takes him as sighted person – the guide. Blind bandurist and his young guide are traveling in Eastern Ukraine among the beautiful landscapes and witnessing repressions of Ukrainian people by Soviet regime. This movie is excellently visualized, which is combined with great music, including numerous Ukrainian folk songs.